Are you a licensed nail technician who would like to give back to others by volunteering to paint the fingernails of hospice patients? 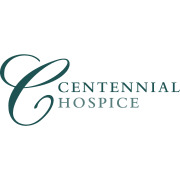 Centennial Hospice is looking for compassionate volunteers to provide basic nail services at various assisted living and memory care facilities in the OKC Metroplex. Make a difference in a hospice patient’s day by providing nail care, listening to their stories, and connecting with the patient. Time commitment is very flexible and based on your availability. Hospice volunteer training and orientation is provided. Current Oklahoma issued nail technician license required. PLEASE CHECK YOUR SPAM INBOX FOR FURTHER COMMUNICATION!!! We are flexible and can work around your schedule!